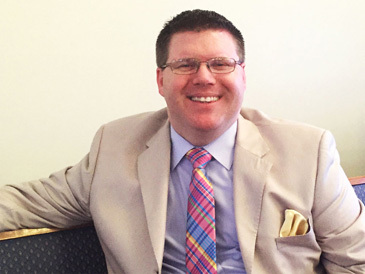 Pastor Shad Smith became the pastor of NBC in June 2014. He married his college sweetheart, Carrie, and today they have two children, Jonah and Anna. In 1965, his grandfather, Rev. Roy H. Smith, was the pastor of Northside. Pastor Shad attended Luther Rice Seminary and holds a doctorate from Fundamental Bible College. His life verse is Psalm 126:6…He that goeth forth and weepeth, bearing precious seed, shall doubtless come again with rejoicing, bringing his sheaves with him. Bro. Leonard Chambers and his wife Sheila live in Dallas and they have 3 children and 9 grandchildren. He is a graduate of Gwinett-Hall Baptist College. Bro. Leonard’s life verse is Philippians 4:13.I can do all things through Christ which strengtheneth me. The Chambers’ are are a tremendous asset to the ministry of the Northside Baptist Church. Bro. Ronnie Twilley became the Minister of Music in 2002. 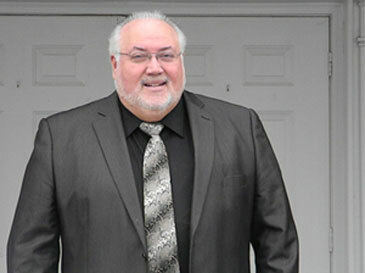 He and his wife Sarah have been ministering in song for many years and traveled singing Southern Gospel music with the Journeyland Trio. Ronnie and Sarah live in Dallas, GA.
Jaci has been the church secretary at NBC since 2018. She is married to Keith Hardy and they have a daughter, Makenzie. 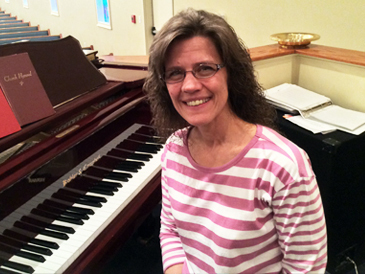 Lori Blan has been a member of Northside Baptist Church since 1975. She and her husband Bruce live in Dallas and have 2 children and 5 grandchildren. Her life verse is Psalm 18:2.The LORD is my rock, and my fortress, and my deliverer; my God, my strength, in whom I will trust; my buckler, and the horn of my salvation, and my high tower. The following paragraphs simply summarize what we believe as a church family. We believe the Bible and teach it to be perfectly true. Every belief and teaching of Northside Baptist Church flows from God’s Word, the Holy Bible. We believe the Bible to be the revealed Word of God, fully and verbally inspired of God. We believe the Scriptures to be the inerrant, infallible Word of God, as found within the 66 books from Genesis to Revelation. We believe God not only inspired every word, but has preserved them through the ages. The Pastors and Teachers of Northside Baptist Church use the King James Version of the Scriptures and hold them to be inerrant, infallible, and inspired of God. (Psalm 12:6-7; II Timothy 3:15-17; I Peter 1:23-25; II Peter 1:19-21). We believe Jesus Christ to be the one and only Savior of mankind. We believe Jesus Christ to be eternally God and to possess all the attributes of Deity. We believe that the Lord Jesus Christ was virgin born, that He was God incarnate, and that the purposes of the incarnation were to reveal God, to redeem men, and to rule over God’s kingdom. We believe Jesus Christ never relinquished any attributes of His Deity, but merely veiled them. We believe He lived a perfect, sinless life, at the end of which He was offered for all mankind as a substitutionary sacrifice for man’s sin. This sacrifice was a just payment to God for the forgiveness of sin. It was activated by His death through the shedding of His blood on the Cross and was accepted by God upon His resurrection. We believe He ascended into Heaven after His resurrection to be seated at the right hand of the Father, waiting for the time of receiving His church at the Rapture, and returning seven years later to earth to rule and reign as King for 1,000 years (Psalm 2:7-9; Isaiah 7:14, 9:6, 43:11; Micah 5:2; Matthew 1:25; Luke 1:26-35; John 1:1, 1:3, 14, 18, 29; Romans 3:19-25; Romans 5:6-15; Philippians 2:5-11; I Thessalonians 4:13-18; I Timothy 2:5; I Timothy 3:16; Titus 2:10-15; Hebrews 7:26, 9:24-28; I Peter 1:19, 2:2; I John 1:3; Revelation 20:1-6). We believe in the literal interpretation of the Scriptures in their grammatical and historical context. We believe in the pre-tribulational Rapture of the church saints, followed by the seven-year Tribulation. We believe in the pre-millennial return of Christ to the earth and His literal rule of one thousand years. Following these one thousand years is the Great White Throne judgment and then the new Heaven and new earth (I Corinthians 15:51-58; I Thessalonians 4:13-18; I Thessalonians 5:1-9; Revelation 19-22). Where Is Northside Baptist Church? With Bible classes for adults, teens, and children of all ages, there’s a place just for you and your family at Northside. During this time, adults fellowship together in Bible study in our campus fellowship hall. Classes are also available for children as young as four years old up to seniors in high school. These classes give them an opportunity to grow spiritually and learn vital biblical truths at a young age. Our Bible Study classes begin at 9:45 a.m. and conclude at 10:40 a.m. This is the perfect opportunity for you and your family to meet other fellow believers and also learn great Bible truths. NBC provides a first-class nursery and childcare for your newborn or baby, where they will be kept safe and well. Our nursery staff is well-trained and experienced; we are good at what we do. The nursery is available every Sunday and Wednesday. Ample parking is available for all visitors and members at Northside. We also have parking spots designated for the elderly and handicapped. There is no strict dress code to attend our public services, but in case you’re wondering, a majority of our church members wear their “Sunday best” – the men in a dress shirt and dress slacks, some wear a tie, some don’t, and the women in modest apparel. 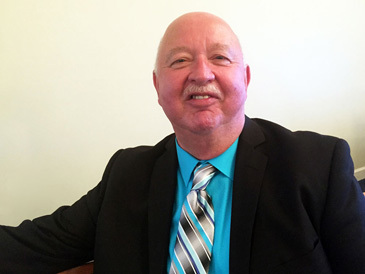 Sunday Morning and Evening Services – 11 A.M. and 6 P.M.
Every Sunday morning and Sunday evening, the main Sunday preaching service is held in the Main Auditorium with Pastor Shad Smith. As you walk in, a friendly usher will greet you and be available for you to help you find a seat and answer any questions you may have. We believe in having a church service with good, uplifting hymns and spiritual songs that will stir and inspire you, prayer, and practical preaching of the Word of God from our pastor. Every service gives you an opportunity to join us in singing hymns and spiritual songs. You’ll enjoy the music from the Northside Celebration Choir in each of our services. We are a church that believes in prayer. Throughout the worship service, we will spend time together in prayer. On Sunday evenings at 5:50, our men’s fellowship meets for pray together. We also encourage you to join us on Wednesday night for special time of prayer requests in our midweek service. We consider the preaching of the Word of God to be the centerpiece of the service. 1 Corinthians 1:21 reads, “…it pleased God by the foolishness of preaching to save them that believe.” Each service, Pastor Shad will bring an expositional message from the Word of God. At the end of the message, our pastor will extend an invitation. This is a time for many to respond and make life-changing decisions. The decision may be to trust Christ as personal Savior or to grow deeper in your commitment to follow Christ. Whatever your decision may be, the altar is always open at Northside. For others, this is a time to bring needs to the Lord in prayer. If you would like someone to pray for you or would like to make your decision public, there will be counselors to pray with you and help you. On Sundays, we celebrate the decisions to follow Christ that have been made as new believers follow the Lord in believer’s baptism. The Bible teaches that baptism is an act of obedience after a decision is made to follow Christ. Baptism is a public profession of faith. If you have trusted Christ and have never been baptized, we encourage you to make your way to the front during the invitation and tell one of our counselors that you have come to publicly follow Christ in believer’s baptism. Wednesday Midweek Worship – 7:00 P.M.
Wednesday nights are special at Northside. In our Main Auditorium, Pastor Shad leads the midweek service. This service is intentional to share practical truths from the scripture to help you through the week. Each week, we spend time together in corporate prayer, intercessory prayer, and testimony of answered prayer. Prayer and study is the focus of this service. You don’t want to miss this most special time together with the family of God. Wednesday Youth and Children’s Ministries – 6:45 P.M.
Wednesday nights are busy at NBC. While the Main Auditorium hosts the midweek worship service, our youth and children’s ministries are engaged in ministering as well. For children, Northside offers the ministry of TEAM KID in our campus fellowship hall. For teens, Northside offers a time of games and worship in the Education department located downstairs in the main auditorium building. A nursery is also provided on Wednesday evening. Now that you’ve learned a little bit about our church, we hope that you will visit with us this week. Directions are available on this website. We look forward to meeting you and your family! We desire for every person to find a place to belong at Northside. We have designed the ministry here first on the Word of God and second with you in mind. Our desire is to see you involved in Ministry that Matters. That’s why each and every ministry at NBC centers on your relationship to God through His Son the Lord Jesus Christ. We want you to find a place to serve the Lord at NBC. Service opportunities include choir, Sunday School, Youth and Children’s ministries, as well as mission opportunities at home and abroad. At NBC, we believe that God has left us here to carry out His work of sharing the good news of the gospel and the love of Christ with the world around us.